Rev. Joel R. Baseley and his wife Barbara were graciously invited to participate in the annual awards banquet of the Concordia Historical Institute, located on the campus of Concordia Seminary in St. Louis. The evening began with a wine and cheese reception in the CHI at 5:30 p.m., followed by a banquet dinner at 6:30 p.m. followed by the presentation of the year's awards. Awards were presented to a number of individuals and groups. 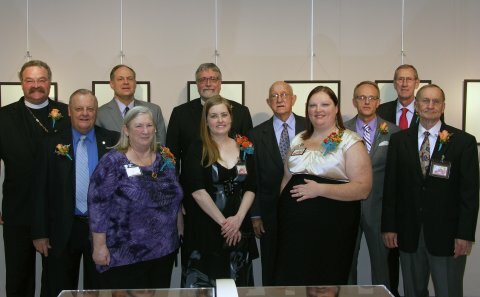 Featured award winners included the Rev. Robert Rahn, for his book Jesus Never Fails! as well as the Rev. Dr. Matthew Harrison for his new translation of C.F.W. Walther's Kirche und Amt. Rev Harrison, president of the LCMS also served as the Banquet Speaker. Rev. 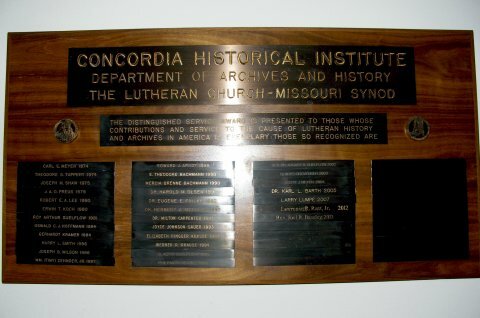 Baseley was selected to receive the Institute's Distinguished Service Award for his numerous translations of Lutheran Church fathers including Martin Luther and C.F.W. Walther. 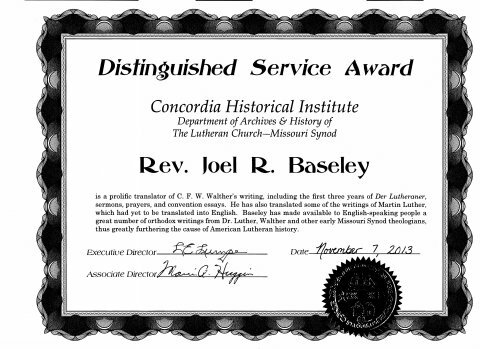 This award, it was explained, is not given every year, making it an especially humbling honor for Rev. Baseley to receive. 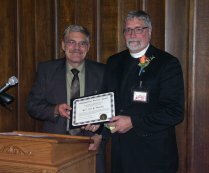 His award was presented by the Rev. 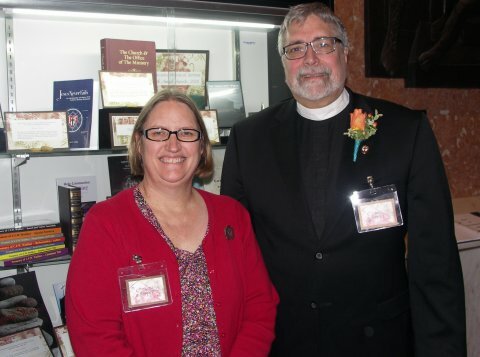 Dr. John Wohlrabe, second Vice President of the LCMS and the present editor for CHI Publications. Rev. Wohlrabe shared memories of Rev. Baseley being in a class he had taught at the Seminary. The evening was poignantly concluded with President Harrison's banquet address based on the observation of the late Herman Sasse that a church body that no longer honored its fathers of faith, that had tickling ears for only the fads of the present age, would be a church that was in poor spiritual shape, thus encouraging a reawakening of an appreciation for honoring of historical fathers of the faith. Pres. Harrison concluded with a special, surprise presentation to Mr. Larry Lumpe, retiring as chairman of the CHI, for his tireless and selfless service. 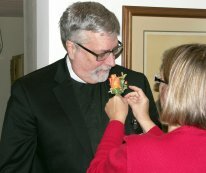 Congratulations to Rev. Baseley for this award and for his publishing his translations and making them available for reading and purchase through Mark V Publications.